Subaru announces its first-ever 2019 Crosstrek plug-in hybrid vehicle. See when consumers can get one. Subaru of America announced today its first-ever plug-in hybrid vehicle (PHEV), the 2019 Crosstrek Hybrid. It’s coming later this year, and it will incorporate Toyota Prius Prime technology. Torque News reported in February, Takeshi Tachimori said, Subaru’s new plug-in hybrid will pull largely from the Toyota Prius Prime's system. Subaru will launch the all-new 2019 Crosstrek hybrid model in the U.S. later this year and is using Toyota technology to do it. ”For our plug-in hybrid to be introduced this year, we have used Toyota's technologies as much as possible," Tachimori said. 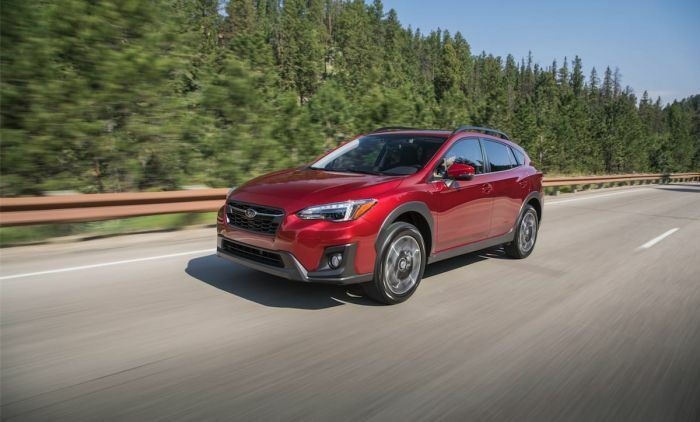 The 2019 Subaru Crosstrek Hybrid integrates the Toyota Hybrid System (THS) mated with Subaru’s four-cylinder direct-injection Boxer engine, Symmetrical All-Wheel Drive and an all-new transmission. “The Crosstrek Hybrid combines the wide-ranging off-road capability of the gas-powered Crosstrek with hybrid efficiency” says Subaru. Subaru also says the new Crosstrek Hybrid will maintain all the capabilities of the traditional Subaru Crosstrek with increased fuel efficiency. It can be driven as a normal Hybrid, using both gas and electric power and eliminating range anxiety, or driven on pure electric drive for local commuting. Subaru did not reveal the new Crosstrek Hybrid’s fuel economy numbers. Tachimori said Subaru's new Crosstrek plug-in hybrid, will be sold only in the U.S. to comply with California's zero-emission vehicle regulations. To get an idea of what’s coming from Subaru, we can look at Prius Prime’s efficiency. It gets an EPA-estimated 133 MPGe, 640 miles total driving range and 54 combined mpg. Toyota says it also comes with 25 miles of EV Mode driving range. Prius Prime can be charged with a standard household outlet and charges in less than 5 hours 30 minutes. The all-new 2019 Subaru Crosstrek Hybrid will arrive in U.S. showrooms near the end of this year. The Subaru announcement also says Crosstrek Hybrid will feature unique styling, “calling out its distinct abilities.” Like the gas-powered Crosstrek models, the 2019 Crosstrek Hybrid is built around the Subaru Global Platform that was designed to accommodate hybrid and electric powertrains. Too bad no turbo on the Crosstrek as I would be lining up to get that. Hybrids just don't interest me. True but the turbo systems are a pain, have a million more coolant and oil lines to deal with, boost leaks, and piston failure over time. The hybrid will have more torque than the gas only versions. And face it, the fastest american production vehicle on the market atm is in fact, electric. TORQUE. no boost lag, no detonation, just PURE TORQUE. I will buy it in a heartbeat. I'm on subaru #7 and to be able to drive it as much gas wise as a motorcycle and just GO PLACES... um HELL YES.